So, you want to know a little something about me? The first thing to say is I am a technical type of person. By this I mean that for the last thirty some years (since approximately 1975) I have learned about, studied, experimented with, and even been paid for working with computers and electronics. I have designed and built computers from the ground up and then taught them to do something useful. I became interested in electronics and computers in my teen years. They became the basis of my hobbies and my career. By profession I work with electronics, and program computers and microcontrollers. I used to work 9 to 5 until a company I had been working for changed direction and closed the engineering department I was in. Since then I have been working for various clients on a contract basis. When not doing paid work I am often still found in front of a computer working on some Open Source related project, doing some 3D modelling, or I may be at my workbench working on some electronics project. Some of my other interests, which do not directly involve the use of a computer, are: photography, playing one of my guitars or my mandolin, listening to (or for) distant AM radio stations, listening to shortwave radio stations, or talking to people via amateur radio. I have been a member of the Open Source community for many years. I have reported and fixed bugs, provided code patches to improve or add features, helped with testing, and reviewed, corrected, and updated documentation. I mostly work on the Script-Fu plug-in of GIMP (and associated scripts), I have also been involved with helping maintain the other language bindings. I created this to test TinyScheme as a replacement for the SIOD component of the Script-Fu plug-in of GIMP. It will be used as a test bed for some future changes I want to make to GIMP's Script-Fu plug-in. As of January 1, 2011 I was given full access and permissions for this project and I am the projects only active maintainer/developer. I have been a member of the Core Developer team since March of 2014. I provide technical support for several virtual worlds. I maintain, or have written, some add-on modules for Open Simulator. I run the weekly developer meetings held in OSgrid. The OpenSimSearch, OpenSimProfile, and OpenSimMutelist modules which are used with the Open Simulator project. This is my updated version of the Procyon AVRlib library for AVR microcontrollers. This is a PHP based groups add-on for Open Simulator I am updating for PHP 7. I am updating this open source web based photo album organizer for PHP 7. This plug-in was a GSoC 2006 project. I mentored the student who created the project and I created the build environment for it. NUTS software that was used on Fantasia's Worlds and on the Lintilla talker sites. I have started using the Hackaday website to post information on some of my hardware projects. Additional information about the projects will (eventually) be found in the hardware section of this website. 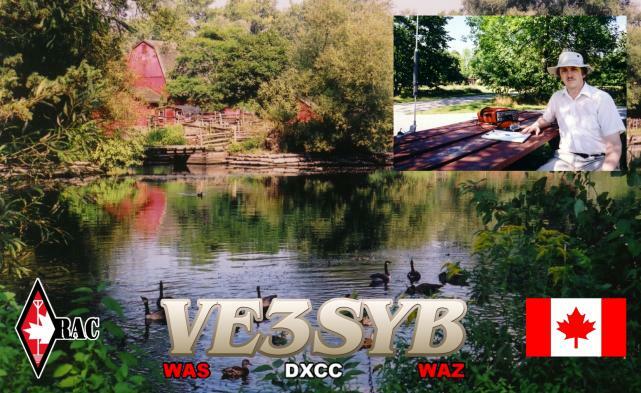 Part of the amateur radio hobby involves the exchange of QSL cards to confirm a contact with a person in another part of the world. It is always interesting to see the cards one receives. They range from the ordinary to the extraordinary and, often, reflect some small aspect of the senders personality. 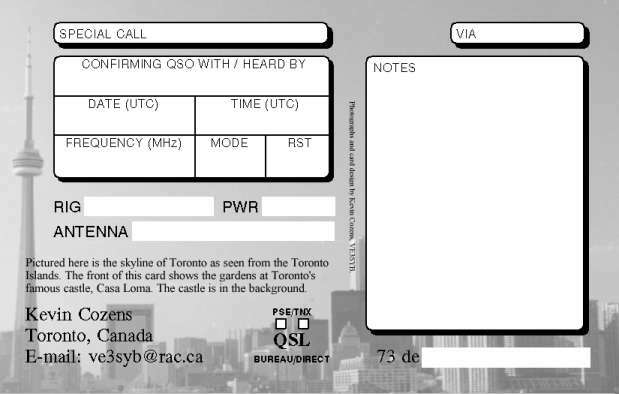 Knowing the effort and expense involved to make contacts and exchange QSL cards, I always liked the idea of sending a card that had more of the extraordinary rather than the ordinary about it. The very first card I sent was of my own design. It had a two colour glossy front with an area to fill out the contact details on the back. 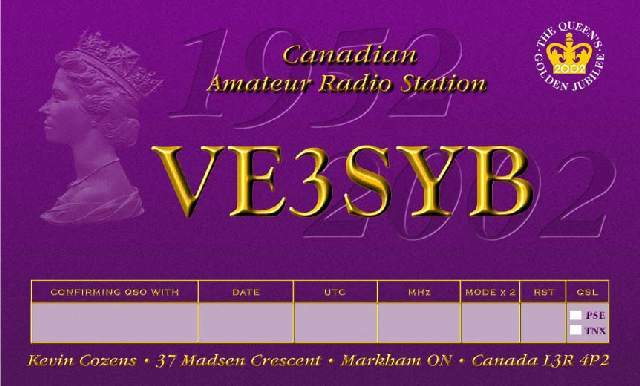 You can see a picture of it in my ham radio QSL cards section of my gallery section of this site. Since I was almost out of those cards I took advantage of a special offer from FDS Graphics in the UK to get some new QSL cards printed whose design commemorates the Queen's Golden Jubilee. Although I still have a quite a few of the commemorative style cards I have started work on a new design. I have already decided on the general look for the card but the main picture on the front of the card may not be the final one I will be using. Like my original design, the new design will be double sided with the front of the card in full colour, while the back of the card will be greyscale. Here is a copy of my resumé in PDF format. It might not always be up-to-date as I haven't been actively maintaining this site of late.